This is one series which I wish I’d thought to review sooner as they are some of my favorite books. Masters of Rome are historical novels (7 in the series) written by Colleen McCullough and set in Ancient Rome. They follow the lives and adventures of three historical giants: Gaius Marius, Lucius Cornelius Sulla and Gaius Julius Caesar. The three main characters are true historical heavyweights. Marius was a commander and statesman who revolutionized the Roman military system. It is thanks to him that the Roman Army came to exist in the form we are familiar with: legionaries, centurions and testudos. 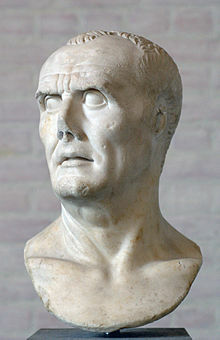 Sulla was Marius’ one-time protege who later became his most bitter enemy. The pair fought a violent civil war in the 1st Century B.C. The author charts Sulla’s rise from a hedonistic, young and impoverished aristocratic to a charismatic political leader expertly. She describes his descent into despotic autocracy and carnal depravity equally well. Finally, there is the young Caesar. McCullough presents him as an engaging youth with the best traits of these two powerful men. 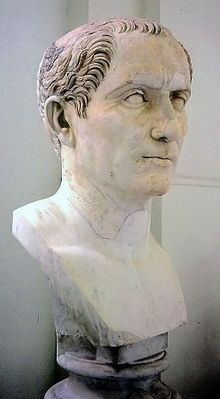 He has all of Sulla’s aristocratic charm and cunning, as well as Marius’ military know-how and popularity. But he also shares some of their flaws, pride being one of them. I think you should absolutely read the Masters of Rome series if you are a fan of historical fiction or have even a passing interest in Ancient Rome. The period in which the novels are set was one of the most pivotal moments in the history of the Roman Empire. The author paints her characters vividly and engagingly, weaving a plot which keeps you reading on even when you ought to have put the book down and got on with something else. If you do take my advice and read the first installment, First Man in Rome, then you can expect to start losing sleep as you tell yourself more than once “I’ll stop reading at the end of this chapter”. They are hard books to put down and easy to pick back up again. You can buy Masters of Rome: First Man in Rome here. You can find a historical novel written by me here. For more historical fiction reviews, click here.